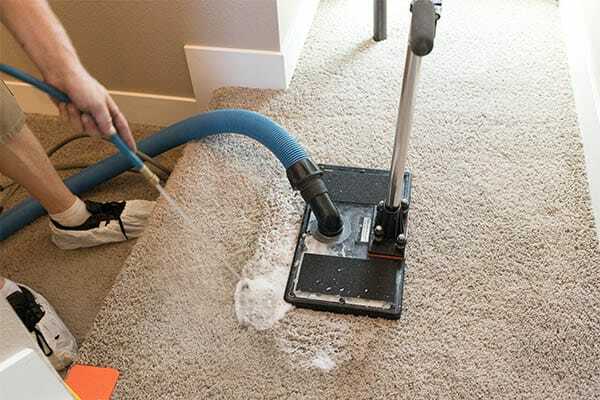 At MSS Cleaning, we’re carpet cleaning Highlands Ranch professionals. We believe that you deserve not only the best carpet cleaning but also the best customer service as well. So, that’s what we provide. David with MSS arrived right on time. He did a fantastic job on our carpets. I am very pleased with the results. The equipment looked nearly new and did a great job. The carpets dried in just a few hours. I will use MSS when it is time to clean the carpets again. My carpet has never looked so beautiful! Couch was cleaned as well, looks amazing. I’m thoroughly pleased. Your company is my new go-to. David was professional, started immediately and did not stop until finished! Thank you, for the excellent job. Amalio and Alberto did a fantastic job of first stretching and than thoroughly cleaning my 9 year old carpeting that was apparently very unprofessionally and hurriedly installed just before I bought my condo in 2009. Alberto did a great job of some minor repairs that we're also needed. They were both very courteous and professional and I would definitely recommend them and their great Service. Incredible service. Had spot on my carpet, came in and got it done correctly the first time. I won't use anyone else in Denver. They are the best by far. Don't bother using anyone else. Friendly service, great communication and quick/efficient job. Remarkable service for a quick-turnaround request. Alberto and Jason were conscientious, professional and easy to work with. We will definitely use MSS Cleaning for all our properties. Great communication. Very fair charge. Unfortunately they could not resolve a stain issue in my carpet but they worked very hard to to that. Alberto was very polite and hard working. I would recommend them to my friends. MSS notified us at every step of the way about the time of our cleaning, the name of the technician and when he would arrive. Our carpets are much cleaner than they were when cleaned by the last two companies we used. I highly recommend MSS. My favorite part about working with MSS is they always picked up the phone day and night and I never had to leave a message or play phone tag. Such a refreshing vendor to work with! They were also very flexible with our schedule and quick to respond to our issue! It was super easy to work with MSS Cleaning. I liked being able to book online and they were flexible when I had to change the appointment time more than once. Gilbert was early/on time to our appointment and finished everything quickly. These guys did a fantastic job! Carpet was in rough shape and they brought it back to life. Very reasonable price and very friendly service! Very helpful in providing recommendations and upgrades to the service, but not pushy. Would highly recommend! I had to move out of my place in Westminster and needed my carpets professionally cleaned. Not only did I get a great price, I got a great cleaner, Gilberto! He was very nice and got my carpets cleaned and smelling fresh! If you need your carpets cleaned, please call this company! Outstanding service and prices. The guys came in and did an amazing job. Very friendly and professional. Where to go MSS! 5 Stars! Mike did an outstanding job cleaning my carpets. He was kind, respectful, knowledgeable and informative - communicative every step of the way. He gave me all of my options and his own recommendations. I felt I was able to make an informed decision on what products/services I chose. The end result was a higher quality than any carpet cleaning I have ever had done. My carpets look better than they did when I moved in! Thank you Mike and MSS! Won’t be choosing anyone else in the future. Mike was pretty awesome. I thought the carpet was pretty much a waste but after a couple hours I thought Mike had replaced it. Looks great! And the stairs look better than ever. Very friendly and knowledgeable. Will be using them again! Phenomenal experience from start to finish. Mike and Dave were on time, provided different options to get the most out of our budget. They worked so hard to get stains out and explained why if they couldn’t. They worked well as a team and were done with precision in a small time frame. I will not use another company again. Never had a red carpet/white glove experience like this. Thank you MSS Cleaning. We appreciate you! Mss Cleaning did a great job of stretching our basement carpet after it had been rolled back for water damage. While at our house they also cleaned two area rugs. Good work and pleasant representative. Mike did an incredible job! The Guarantee their work in the stand by it. My son had spilled red soda die on our new carpet they were able to remove the red spot it look good. But since it was brand new carpet we decided to patch it since we had leftover carpet from when it was installed. His patch job was flawless it looks like nothing even happened. I highly recommend MSS! MSS Cleaning did a thorough job cleaning and stretching my carpets. They went out of their way to ensure that I as happy. I highly recommend MSS Cleaning! MSS was very easy to deal with and extremely professional. The communication was great. I would highly recommend this company. Wonderful in every way. I checked out the competitors too, and have hired them for some sofas in the past, but MSS is WAY better! Thank you, guys for being so great in your work and for being affordable. These guys were great! They fit us into their schedule quickly and took care of stains that other companies had struggled with. They easily removed a recent stain from computer ink as well. MSS cleaning worked me in at the last minute and was prompt, very professional. They were able to get my carpet cleaned when I thought I was going to have to replace it. Great job! MMS was very professional and accommodating! We have a puppy and they did an amazing job getting our carpets fresh and spotless again! I highly recommend and will be using them again! Excellent service and communication! Andrew and his team were very accommodating with our last minute schedule changes and fit us in within a few days after we had to cancel our initial appointment due to an emergency. We had our basement carpet and a sectional sofa cleaned. The team called to let us know they were on their way and showed up a bit ahead of time. Gilbert and Alberto took their time and did an excellent job, they were careful with the hoses and equipment and encouraged us to check everything to make sure we were happy. Great customer service, friendly crew, great job, and reasonable pricing - I'll be using MSS Cleaning again. The people at MSS were all good listeners so they understood exactly what I needed. They were flexible as I cahnged my mind on a couple of aspects in the job order. And the work they completed in stretching and cleaning my carpet was excellent. Incredible service. The technician showed up promptly. He was very courteous and explained their approach to cleaning, removing stains, and odors. Their equipment is all new, clean, and well maintained. He was extremely thorough, worked hard, and the results are amazing. I have 2 Huskies and our carpet has never been cleaner. Highly recommend! They send me updates consistently with confirmations of my appointment and update as to when I can expect my technician. The technician, Adrian, did an excellent job. I highly recommend them. I had two couches cleaned, while the first time they came out was not the best experience or cleaning job, Andrew called me right away and set up another truck to come out and make it right. The two technicians that came out were very professional and did a great job! They are went above and beyond to fix the first job that didn’t go as well. Andrew explained to me that the first technician was more of a commercial guy stepping in to help when they were short handed and wanted to make my job right! I can’t say enough about how good the cleaning job was and how Andrew and his team made it right as soon as possible. They even cleaned my two throw rugs! I would highly recommend using them! Thanks MSS Cleaning! Alberto was great! Ended up coming 30 minutes earlier than scheduled (which worked better for me) and then got completely done in AN HOUR. Awesome work. Cleaned the carpets of 4 dirty college rooms that I thought were uncleanable. Everyone needs to call these guys for your carpet needs!!!! Alberto was awesome! He showed up on time and was very efficient in cleaning our apartment for move-out. Communication with MSS to get a quote, set up an appointment, and updates leading up to our cleaning was very quick and professional, and their quote beat the competition by 30%! Lucius was very professional and courteous. He shared the different options to clean our pet stained carpet and was not pushy with the higher priced option. He used the most cost efficient method that would get the job done. Recommend to anyone who has had pet accidents and needs the carpet cleaned! We hired MSS Cleaning because of the ratings. We are not disappointed. Our daughter moved out with her 2 dogs. After MSS shampooed the carpet it looks like new again. Highly recommend this company. MSS came and cleaned the carpets of our 4,000 sf office and did an amazing job. I called and got a quote the same day. Price was extremely reasonable, especially for the high quality of work. Service was scheduled within a week of quoting. Would definitely use again!! I have become a customer for life. 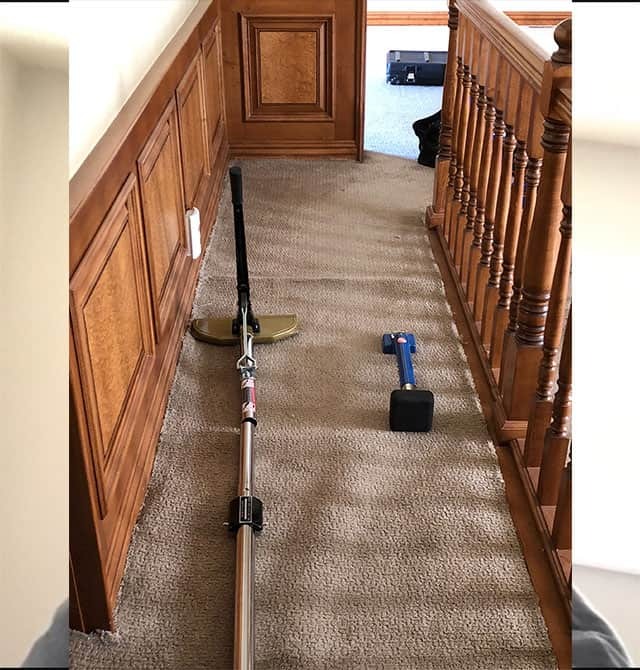 After awful experiences with other carpet companies, it was a breath of fresh air to find one with the customer service, reasonable prices and amazing cleaning that MSS performed. The company was very accommodating to my schedule, they gave me an actual service time (not a 3 hour window), the carpets look immaculate, and the technician (also the owner) treated our home with respect. My schedule actually changed the night before the appointment, and they were able to accommodate my schedule by coming over 30 minutes prior to the scheduled time. Just incredible. We were getting ready to list our house and needed somebody to come out and clean carpets. The scheduling was easy and they were flexible with the different requests we had. They cleaned our bathroom tile and even cleaned our area rugs outside on the patio. They also brought in fans to help the carpet dry. Couldn't be happier with the service or the result! My carpets were dirty. It was as if the owner that had my house before me had never cleaned the carpets. I was going to replace them, but MSS was recommended to me by my colleague. Alberto was great. My carpets are sparkling. He even came in and replaced some pieces that had bleach stains! Thank you!!!! I've known the owner for more than a year and I amazed at his focus on his customers. MSS Cleaning has a great team and is the only cleaning service I would use due to the quality and confidence I have in them. It's refreshing to see a business that takes pride in their work and overall operations. I submitted my request for a quote just yesterday morning (12/28). Andrew replied before I could even believe he received the request! His price was reasonable and he was able to fit me in today which I thought was fantastic. His tech Alberto called ahead of time to confirm and arrived right around the time I scheduled. He cleaned a basement sofa for me (original request). He also cleaned my family room carpet and portions of 2 microfiber sofas in my family room - it all turned out amazing! Alberto even cleaned part of my living room carpet where we had moved the basement sofa to be cleaned! I have also had some issues with my new-ish kitchen floor and both Andrew and Alberto have been so helpful troubleshooting solutions. I already scheduled them for next week to take care of that issue, per the plan we came up with. I will be using MSS cleaning for other projects in my house in the future - they were prompt, reliable, reasonable and helpful. What more could you ask for? MSS Cleaning exceeded expectations. Affordable, professional and the quality of work is the best I've seen. Could not recommend highly enough! So, I've used Andrew twice now and I can't say enough about him and his team. I know his company does big jobs so I was initially worried about the relatively small tasks I needed done.It was no problem at all. They were timely, effective and professional. There was a small mishap with an item but Andrew went well above and beyond to make it right.Would highly recommend them and will definitely use them again. We had a terrific experience with Andrew and all of Metrosource Services! They are extremely professional, friendly, prompt and their work is very thorough! Our (cream/white) carpets were an absolute mess and I desperately needed them cleaned before hosting Thanksgiving. Andrew scheduled us right away and walked me through the entire process. After the carpets were cleaned, I had some questions about spot treatment before getting out carpets cleaned again next year. He recommended some products and even dropped off a bottle of spray to try! I will definitely use Metrosource again next year!! Metro Source Services came by and deep cleaned 3 carpeted bedrooms, 3 tiled areas, and one large shag rug. The difference was night and day!! They came with commercial grade heavy duty equipment, even for our small job. It was fast and efficient. Alberto did an amazing job! Would immediately recommend them! Prompt arrival, thorough cleaning and competitive prices. Our carpets look brand new! Great service. Great Representative of the company. Explained everything. Did a quick and thorough job. He did a fantastic job..my stairs were stained with heavy trafficand looked amazing!!! !Nice work! I will call then again. 5 Stars for every phase of the SERVICE! Mike was fantastic our son had spilled red soap dye on our brand new carpet. He was able to get the stain out. Since it was new carpet we decided to patch the spot since we had leftover carpet. The patch job looks great. Looks like nothing happened. MSS cleaning did a wonderful job cleaning our condo carpets! They look new! MSS worked with us and was able to quickly show up when there was a cancellation. Mike who did the actual cleaning was great and knew exactly what he was doing. My couch was a wreck. Tried cleaning it over the years but with two dogs very difficult to stay on top of them. Mike brought them back to almost new. Speaking with the owner Andrew he actually spent some time explaining to me their process and what his expectations would be with a 6 yr old couch and two dogs. They exceed it and would call them back for furniture or floors in the future! Great work and very professional. We were really happy with the service provided by MSS. Not only were the prices and expectations clear and transparent, the customer service was top notch throughout the entire process. Andrew and Mike were professional and great to work with. And the prices and work performed were great! Andrew came out and gave us a very reasonable estimate to clean our office carpet, furniture and make some carpet repairs. On the way out I showed him a stain that has survived 3 previous professional cleanings. He said he could get it out and I wished him good luck. Well...he got it out! Carpets look great, furniture looks great, everything smells clean and fresh. Extremely happy with the customer service we received and the results. MSS Cleaning cleaned the carpet and upholstery at the organization I work for, The Center for Trauma & Resilience. Andrew measured our building then gave us a very competitive estimate that other companies could not match. Alberto did the cleaning and he was extremely thorough and very polite. I will be recommending MSS Cleaning to all of my friends and business associates. I called MSS about getting a coffee stain out of a white rug and I am beyond pleased with the outcome. (Others told me it couldn’t be done) 10X’s cheaper than any other place, very professional, and great service! Highly recommend them!! Andrew and his team at MSS cleaning are great to deal with. They did some carpets and pressure washing as well. Very easy to schedule (in fact squeezed me in on short notice), arrived on time, gave me a fair price and did an awesome job. They really know their stuff when it comes to pet stains removal, I learned a lot from them. Will definitely use them again. I appreciate a clean office and MSS Cleaning doesn't disappoint. The cleanliness and appearance of our workspace is representative of our quality as a company. After dealing with too many subpar cleanings by another company, I chose to do business with a locally owned and operated service and haven't looked back since. They've always stuck to the agreed upon schedule and done an amazing job! We have used them for deep cleaning projects too, like carpets, tile, and furniture stains, which have always turned out better than I expected. Besides their great work they've always been incredibly friendly and easy to communicate with - that's why we are clients for life. We make scheduling your carpet cleaning Highlands Ranch appointment easy. You can get a free quote and book online or just give us a call. We’re always happy to answer any questions or set up an appointment for you over the phone, too. Once you set an appointment, we’ll send you an appointment confirmation email. From there, you’ll receive an appointment reminder as well as a notification when we’re on our way to your home or business. After your appointment, we’ll follow up to make sure everything went well and that you’re completely satisfied with the service. We hire and train our technicians ourselves. 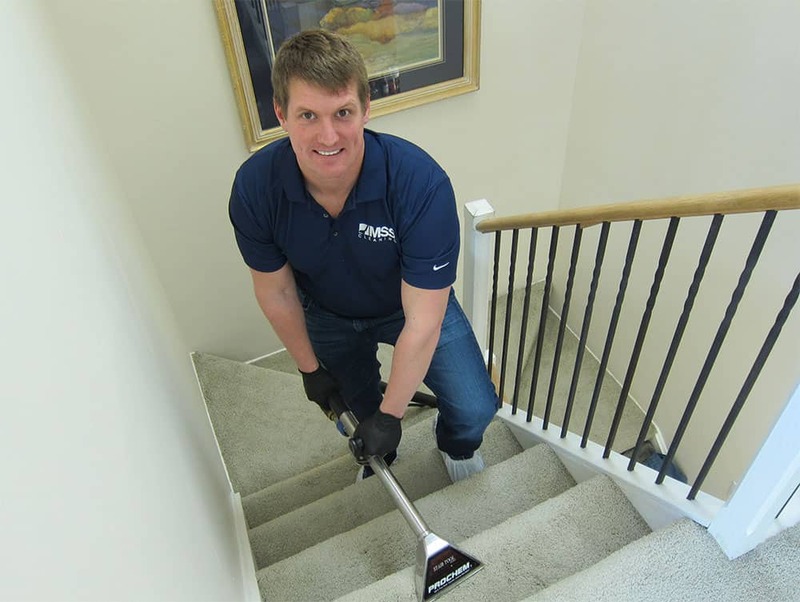 Unlike many companies who subcontract out their Highlands Ranch carpet cleaning work, we never do. Every employee is trained to be polite, professional, helpful and respectful of your home or place of work. Our technicians also bring with them plenty of experience and know how. You don’t want a rookie cleaning your carpets or upholstery, instead you want a professional. That’s all you’ll ever get with MSS Cleaning. We clean carpets all throughout the Denver area, but always enjoy the short trip down Santa Fe to Highlands Ranch. 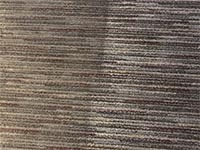 Whether it’s cleaning carpets in Westridge, commercial carpet cleaning a business in Northridge, doing upholstery cleaning in Eastridge or tile and grout cleaning in Southridge. at MSS, we always appreciate the opportunity to serve our neighbors and their beautiful homes. We use corner guards, hose hooks and foam block or plastic tabs. These items protect your home from scratches or nicks and protect your furniture from bleeding into the recently cleaned carpet. A great carpet cleaning starts with removing the dry soil first. So, we use a commercial vacuum cleaner before we start. Next we prepare for the carpet for cleaning by applying a solution to break down dirt and grime. Then we scrub the carpet with a counter rotating brush machine. This added step makes a world of difference in effectiveness. It also helps remove deep dirt from the base of the carpet as well as hair. From there, our powerful truck mounted carpet cleaning plant goes to work. We apply neutralizing hot water to completely rinse the carpet of residue while we extract the water with the truck’s strong vacuum. Alone, this removes as much as 95% of water from the carpets. To further speed up dry times, we place high speed fans throughout the space as we clean the carpets or upholstery. Lastly, we groom the carpet to help the fibers stand up, dry faster, and to provide a nice finished look. If you would like carpet protection applied at this point, we also offer that service at an additional cost. We’ll repair carpet wrinkles, buckling, torn seams, holes and more. Fast drying, highly effective upholstery cleaning services for sofas, chairs, ottomans, area rugs and more. When you need expert upholstery cleaning in Highlands Ranch, look no further than the pros at MSS Cleaning. We’ve tackled just about any upholstery cleaning challenge you can think of. 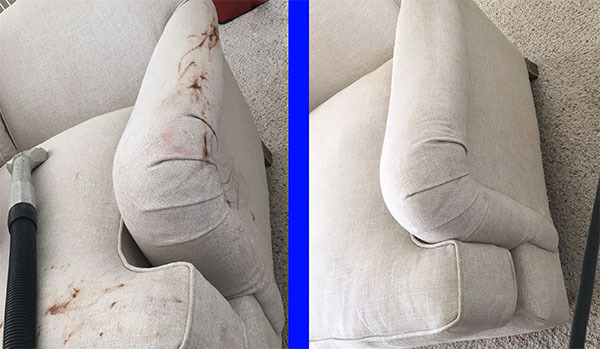 From food and soda stains to bronzer and makeup smeared all over a new white sofa. 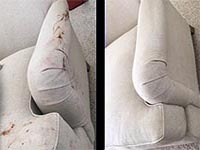 If your upholstery needs a good cleaning, whether it’s a sofa, chair, sectional or other piece, we’ve got you covered. Our upholstery cleaning process uses top of the line Drimaster upholstery tools. These thoroughly clean while avoiding water marks, streaks, or over-wetting. The result is really clean upholstery without any stickiness or residue left over, and quick dry times. Call us when you need Highlands Ranch upholstery cleaning. 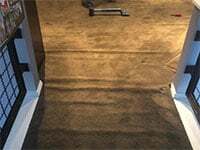 Over time or due to a faulty installation, carpets begin to buckle and wrinkle. When this happens, you need carpet stretching Highland Ranch services. Our premium tools and knowledgeable professionals can stretch your carpet back into shape in no time, eliminating wrinkles and buckling. Do you need Highlands Ranch carpet repairs too? We can mend all sorts of damage. From burns or pet tears, to split seams or impossible to remove stains. We repair it all. How about combining carpet cleaning and stretching in the same day? Absolutely. In most cases, we can get everything done in one convenient appointment. When you’re looking for a Highlands Ranch Colorado carpet cleaning company, we’re here for you. Feel free to give us a call with any questions or to book an appointment. If you’d prefer to book yourself or build a quote, please click the button below. We look forward to working with you! © 2019 MSS Cleaning. All rights reserved.